RAPAPORT... A 24.31-carat diamond ring fetched $2.4 million at a Bonhams auction in London on Wednesday. 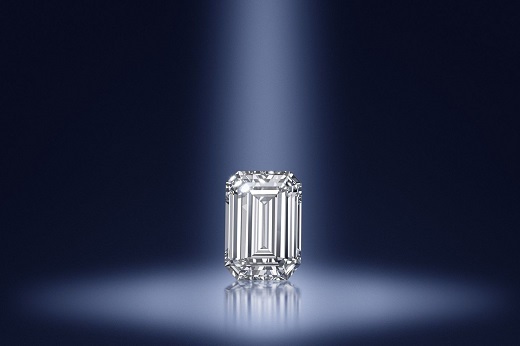 The step-cut, D-color, internally flawless piece sold for $98,194 per carat, beating its presale estimate of $1.7 million to $2.3 million, the UK company said. Other notable items at the Fine Jewelry sale included a marquise-cut, 1.03-carat, fancy-intense-blue, VS1-clarity diamond ring, which garnered $363,734, smashing its estimate of $190,000 to $260,000. Bonhams also sold a cushion-shaped, 4.08-carat, Kashmir sapphire brooch with diamonds, which went under the hammer for $317,748, well over its original valuation of $160,000 to $230,000. A trio of Art Deco gem-set bracelets by Van Cleef & Arpels also exceeded estimates. The set went for $223,541 against its presale valuation of $90,000 to $130,000. Total proceeds at the auction came to $6.6 million.